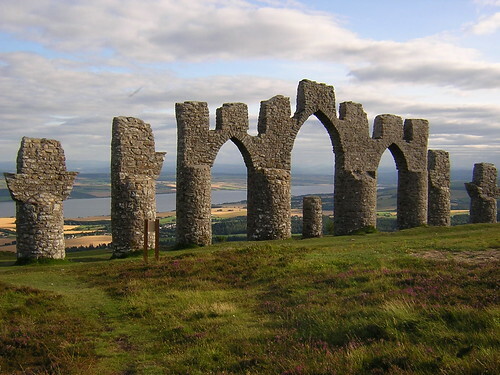 Fyrish Monument is a strange looking monument on the Fyrish Hill in Fyrish near Evanton, Easter Ross, Scotland. Built in 1782/1783 at the behest of Sir Hector Munro, it consists of three large central arches and four flanking towers and is a copy of large gates which once stood at port town of Negapatam near Madras, India. Negapatam was once under Dutch control and in 1781 Munro conquered it for the East India Company. 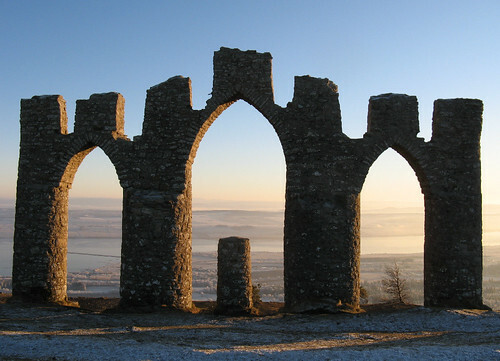 Sir Hector returned to Scotland in 1782 and found that his estate of Novar was under turmoil and there was unrest amongst the unemployed local populace, who were displaced from their land to make way for sheep farms. 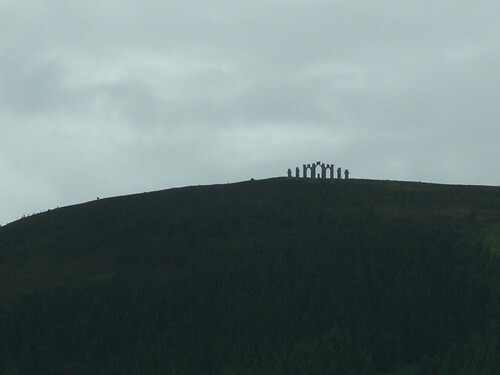 Instead of giving free charity, Munro decided to build this monument to provide work for the unemployed. In order to help larger group and also to prolong the period of the construction he arranged double shift of work. 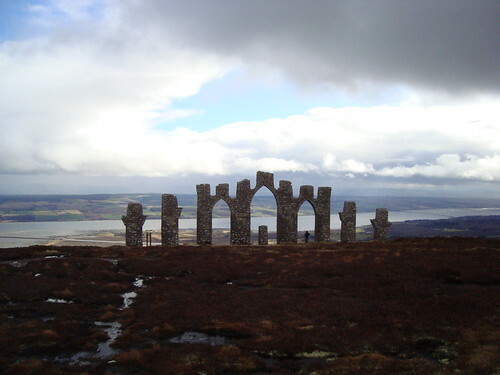 In the day shift the workers used to carry large stones uphill to the construction site atop the Fyrish Hill and in night time the second group used to roll down the stones to be brought up again the next day. There are unconfirmed stories that he used to personally roll the stones down from the summit. Being large in size and built on hill top it is clearly visible from large distance.